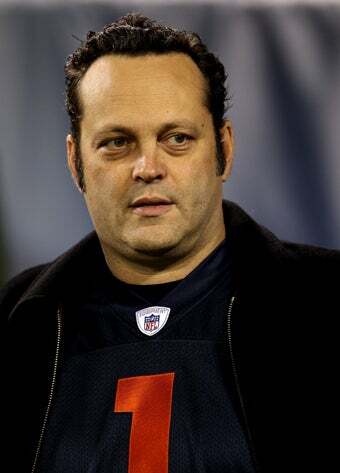 After Universal Pictures pulled the "gay" joke out of the trailer for Ron Howard's movie The Dilemma, Vince Vaughn has addressed the controversy. Unfortunately, he doesn't exactly seem contrite. "Let me add my voice of support to the people outraged by the bullying and persecution of people for their differences, whatever those differences may be. Comedy and joking about our differences breaks tension and brings us together. Drawing dividing lines over what we can and cannot joke about does exactly that; it divides us. Most importantly, where does it stop." Well, it probably should stop when it's homophobic and hurtful to people. Just an idea.